I was not pleased with her tweet. And, was DeVos almost “knocked down”? I think there is a visceral raging reaction against her. Our unions seem to be trying to please someone other than the teachers. And now we are waking up to this fact. I liked Diane Ravitch’s ideas on how schools should and should not engage her. It allows for a protection of students, teachers, and schools. I hope that the union leaders listen to what resistance and respect look like. Randi’s tweet was dismissive. Steven, exactly this. You are spot on, my brother. I watched the video. She wasn’t almost knocked down. She turned tail pretty quick in those high heels, though. Perhaps she was left off balance because of such proximity to a PUBLIC school. Remember when the teachers unions leaders backed lifelong charter advocate Hillary over union ally Bernie, only to lose & get Betsy DeVos? I also think we must remember that at the Representative Assembly this past July in D.C- they actually gave a reward to Lamar Alexander! How is that for leaving a sour taste in your mouth. Jane, I forgot about that! Yes! You are so right! Yuck! Exactly. They backed her very early and very strongly, without listening to their union members, without taking a vote. And now they whine because Trump and DeVos want to destroy public schools and teachers’ unions? Unfortunately, they won’t personally reap what they have sown, they’ll be fine. But it’s sure screwing every public school and every public school teacher in this country. It’s clear why the largest teacher unions backed Hillary so early. Their presidents were buddies with Hilldawg. They were “with her.” Who cares what the members thought? Most didn’t even know about Bernie Sanders by the time AFT endorsed. That was largely on purpose. What’s also upsetting is that Diane Ravitch and NPE failed to endorse in the primary. But at least they didn’t jump on the establishment wagon over Bernie — until it looked pretty clear that Bernie wasn’t going to win the nomination. Randi, you are a disgrace and an embarrassment to teachers everywhere. You subvert democracy and are part of the political corruption. Then you had to reinforce the meme that teachers’ intelligence is second rate, since apparently we do not know the difference between “there” and “their.” Thanks a million. Just like the CEOs who eventually get a hundred million dollar golden parachute for screwing up, Randi’s terrible decision making will not affect her quality of life, but it will affect ours. Just like the business “reformers,” what will most help teachers and students is if you quit your job. Ed Detective, for once, we are mostly in agreement. Well stated, Steven. Add my name. I voted for Bernie Sanders in the primary and was disheartened by NEA s endorsement of Hillary Clinton. I am president of a local in rural Northwest Ohio. Paulding Education Association. I would guess that 30% in my local voted orange. I agree completely. Weingarten has been a disaster for Newark teachers. I personally received two phone calls from the national office urging me to vote in favor of a horrible contract. I had the same reaction to her DeVos protest tweet. I was delighted that DeVos was met with protesters on her first official visit to a public school. Weingarten never misses a chance to endorse the corporate agenda. It is time for a radical change in our unions because the seat at the table is not cutting it anymore. I agree with your posting and will be posting it on FB, too. They rammed Hillary Clinton through as “our” candidate too. They’re Republican-lites. We need real leaders, not placaters. I agree with you! CTA and NEA member. Thank you, Steven! This NEA member is in 100% agreement. Perfect, Steven Singer. Let’s post this everywhere. While I’m with the protesting, I don’t think that blocking DeVos from entering a public building was necessarily the way to protest. That said, I don’t agree with Randi tweeting against it. I also agree wholeheartedly with your post. I’m an NJEA/NEA member. Our state leadership has also become way too cozy with the political/corporate class. This UTLA, CTA, CFT, NEA, AFT member has been saying this for years, just not as eloquently. Thanks Steve. Also, let’s not forget how Randi sold out NY teachers by sending Robo calls for Cuomo’s running mate Kathy Hochul, to keep favor with Cuomo who is and has been underfunding public schools and attacking teachers for a very long time. All while he continues to support and side with for profit charters like Success Academy. Randi has lost her way. Loretta, ESP, Member of Minneapolis Federation of Teachers Local 59. My hope is that we get leadership that will encourage us to fight whatever attacks come our way. We need real leaders, not someone who coddles to the 1%. NEA member here! Totally agree. I was at NEA headquarters for an event the summer right before she took over, and I had such a positive outlook. I felt like she would be the breath of fresh air we needed. Now I’m so disappointed. Absolutely right. Until Randi/Lily and their crony cliques are ousted from leadership of the AFT/NEA the 3 million rank-and-file teachers will not be able to rescue and revive public schools. Randi/Lily have suffocated dissent and failed to organize teachers to use the power of their numbers to force changes in privatization, testing, and voucher campaigns led by billionaires Gates, Zuckerberg, Walton, Koch, Lorene Jobs, Ely Broad, and the billionaire hedge funders on Democrats for Education Reform. Randi/Lily both forced premature endorsements of Hillary onto their unions. Their insider leadership has helped bogus “reformers” loot district education budgets and drive public schools to the edge of disaster. Removing them has been urgent for years; best way is to build dissident rank-and-file caucuses in each district, like the MORE group in NYC. I also think the political endorsements PSEA and NEA make should be a more inclusive process. The process as it is disenfranchises way too many members who are just as politically active and informed as the leadership. I do consider the potential for institutional change within the NEA and PSEA may be in order so as to eschew institutional neo-liberal Democrat candidates and begin to throw our support behind leaders who are steadfast in their support for social, economic, and labor justice. Now is the time for more social engagement and action fighting for all types of social justice issues. I agree. I feel betrayed. We was not elected queen. We’re getting sold out. I’d like ti explore the ramifications of withholding NEA dues and just give it all to my state and local associations. It is a new day. Children are at risk. It is no longer about pay raises, it is about protecting children. Teachers are the First 1st Responders. 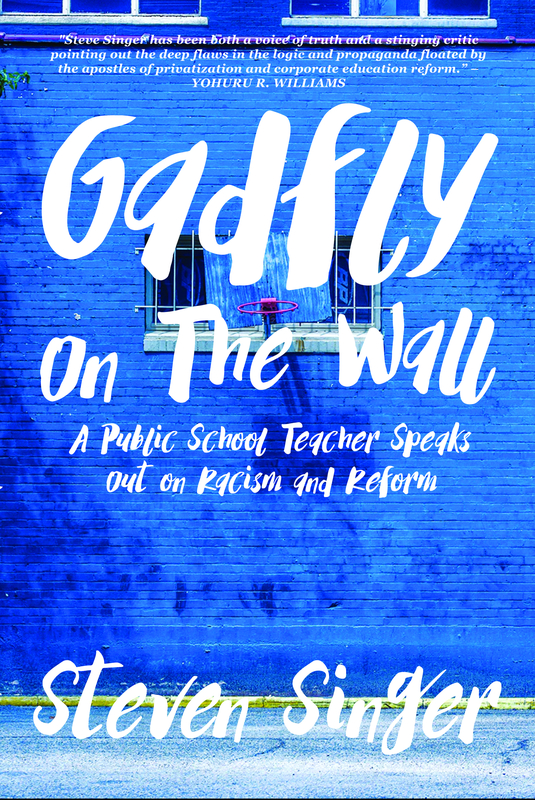 The KRYPTONITE against destruction of the Public School system and slide into class and race wars is to see a MAJOR shift in how TEACHERS see themselves in relation to children – A TEACHERS OATH that is every bit as solemn and serious as is the Hippocratic Doctor’s Oath is needed. Now. Absolutely agree: Seattle EA, WEA, NEA. Former CTA, NEA member here (left teaching after 20 years in 2013 — couldn’t take it anymore). While I think ALL of us are partly to blame for the Trump victory (and see nothing productive in the finger pointing that some of us are engaging in now), I agree with the basic criticism of our union leaders here. I think Alicia Garza described the problem best (talking about some other “leaders” of other “social justice” organizations) — they confuse “proximity” with “power.” The real power of any union is in its members — solidarity and numbers. Not in “a seat at the table” with those who don’t have our interests at heart. I’m retired from post secondary teaching — not a member or either union but blog and do social media for adjuncts, many of whom are — and not happy with them them either. I’m sharing this widely. Everyone I’ve sent it to privately is cheering. I totally agree with you! I supported Bernie from the start and absolutely can’t believe we have the yahoo who is in there now. Don’t get me started on Betsy DeVos. I’m a member of the NEA.